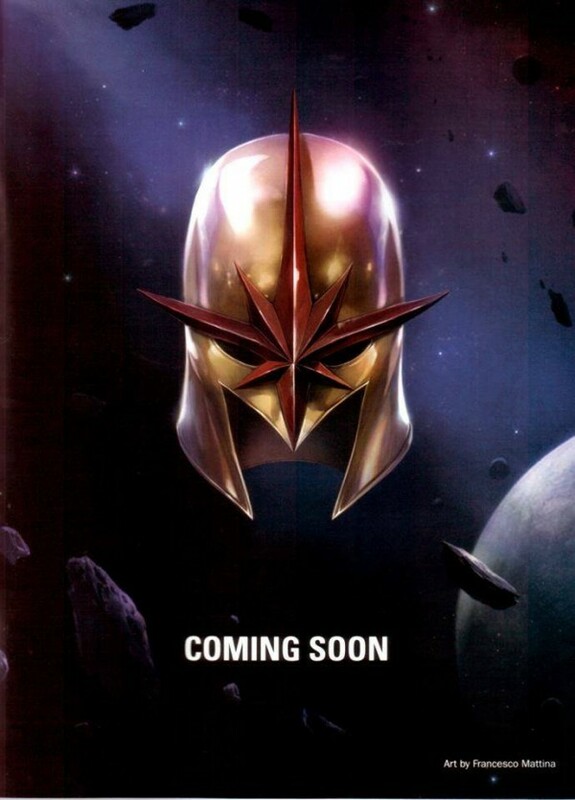 Who are the Nova Corps? How do their powers work? 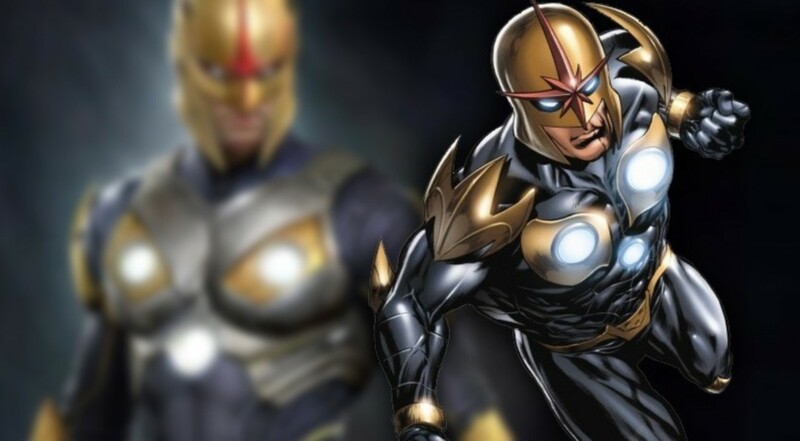 Will Nathan Fillion be Nova? Rich Rider is a typical American teenager when he is selected by a wounded alien warrior named Rhoman Dey to inherit Dey's Nova Force. Rhoman Dey has been battling an evil alien named Zorr. 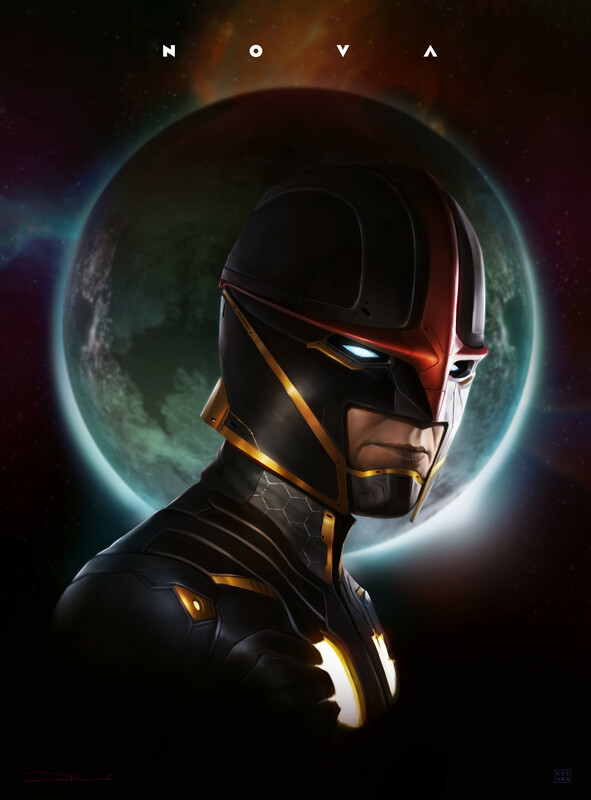 Zorr had just destroyed his home planet of Xandar and Dey is the last of the Nova Corps. Unfortunately, due to his weakened state Dey unable to give clear directions to Rider on how to use the powers of the Nova Force or much background at all. Rider becomes a super hero and battles Earth super villains slowly learning how to use his Nova powers through trial and error. Eventually, Rider finds Dey's space ship and travels to Xandar. Xandar has been rebuilt since its destruction by Zorr but finds itself in a bad predicament again. This time the Skrulls are attacking the planet. Xandar is attacked, destroyed and rebuit a lot! 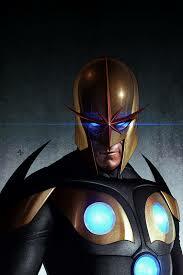 He helps fight off the Skrulls and learns about the Nova Corps and the Worldmind. From this point on Richard goes back to Earth, joins some super teams, goes back to space. He currently is one of the primary human cosmic heroes. Primary Power is super speed / teleportation can get to anywhere in the universe very quickly and survive. Can survive in a extreme environments space / underwater etc. Has access to the information of the Nova World Mind which effectively one of the most massive databases in existence. Rich Rider was heavily influenced off of Spider-Man. He is a teenager like Peter Parker when he is thrust out into the super human world. Both are actually also born in Queens NYC. I personally never really liked Richard Rider as a teenager. 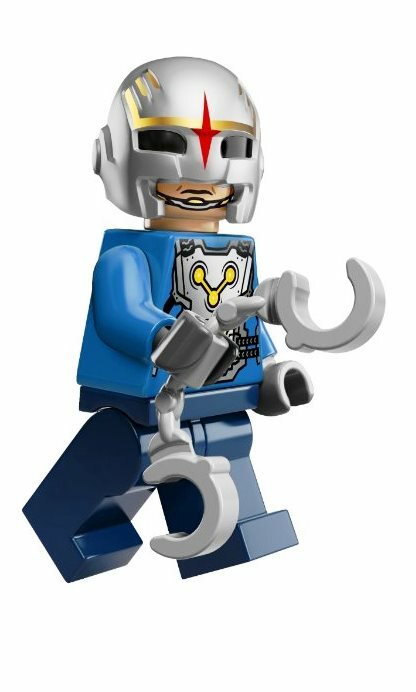 Why would a teenager be chosen to handle the Nova Force? Why did Dey think that was a good idea? I personally like the older more mature, leader Richard Rider. That is just me though I do run into people who love the selfish teenager version of Richard Rider. 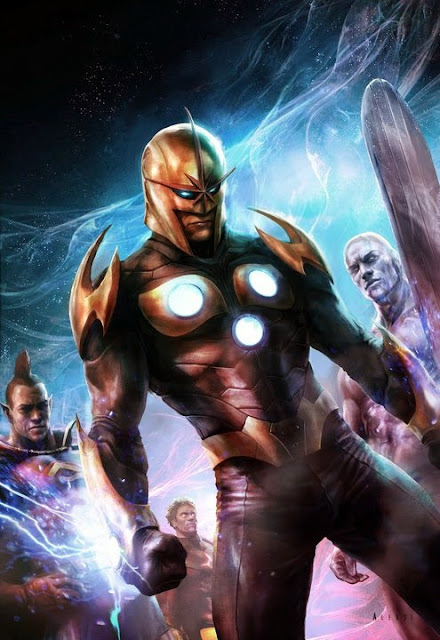 There is obviously also similarities between DC's Green Lanterns and Marvel's Nova Corps. Both are super powered space police organizations. 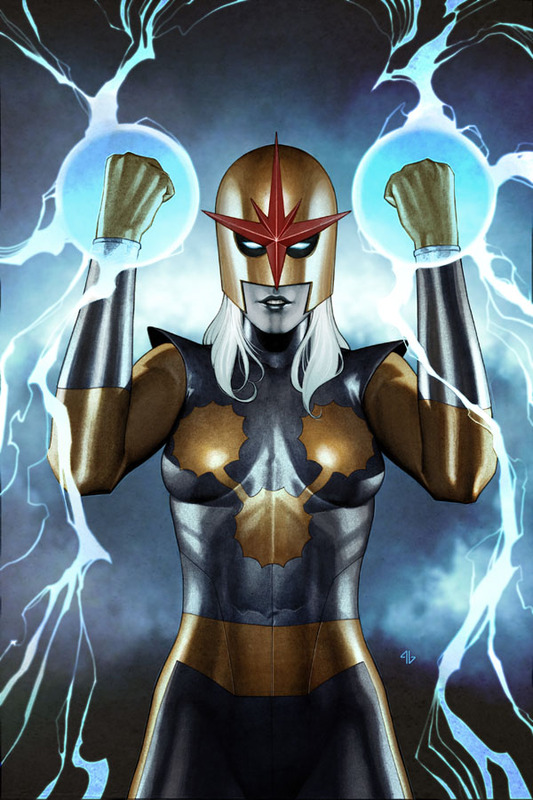 Here is some awesome comic artwork of Nova in action. 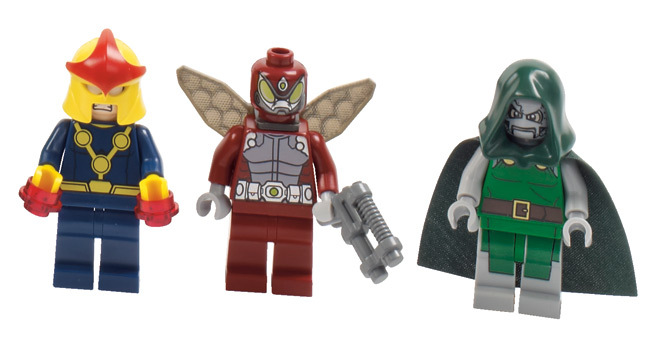 There are two types of Lego mini figs of Nova.